Last year, I wrote a blog post detailing the Top 5 Reasons Why I Think You Should Do a First Look with your husband-to-be on your wedding day and a LOT of couples found it super helpful in making the best decision for them! About 80% of my couples decide to see each other before the cereomy, but the other 20% want to keep up the family tradition of seeing each other for the first time at the aisle - and I am totally ok with that if that's truly what YOU want!! Today's blog post is for all those brides who land on the more traditional side of things, but who still love the idea of a first look and who are looking for an alternative! 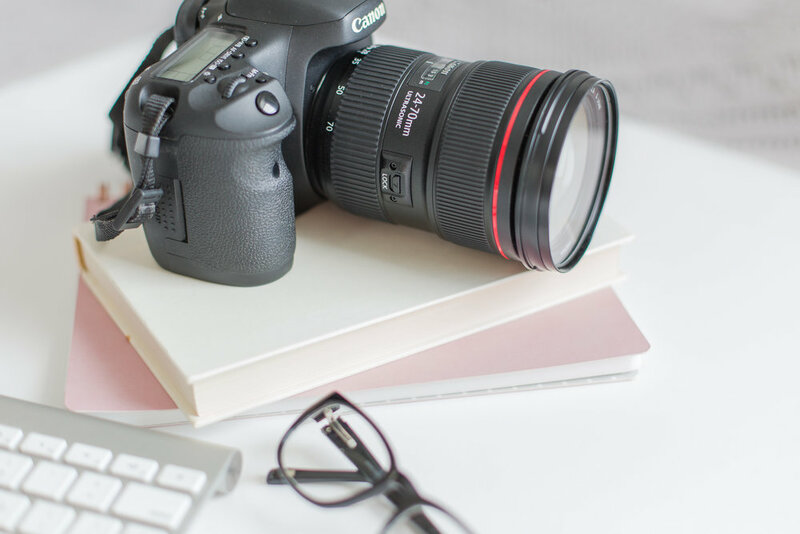 This post is also for all those brides planning to share a first look with their husband-to-be, but who have a special connection they want to document with their dad (or mother or brother). Dads hold a very special place in my heart on wedding days and father daughter first looks have become some of my absolute favorite wedding images to capture outside of the bride and groom first look and romantic portraits! I feel so honored to capture the interactions, hugs, tears, and laughter between the bride and her father! Here are my three reasons why you need to consider a father daughter first look on your wedding day . . . If you love the concept behind the first look, but prefer to stick to the traditional aisle reveal, the father daughter first look can become your best alternative! First looks between the bride and groom are UH-mazing for so many reasons, but if that's not how you want to set up your day, as your photographer, I am totally behind your decision! With that said, you can still experience the magic of the first look with your father or with someone special to you. Brides most commonly share first look alternatives with their fathers, but I've also had brides share a moment like this with their mothers, brothers, or even just their bridesmaids! You will end up with photos that have the same spirit of the bride and groom first look with tears, smiles, and lots of hugs without sacrificing your more traditional values. 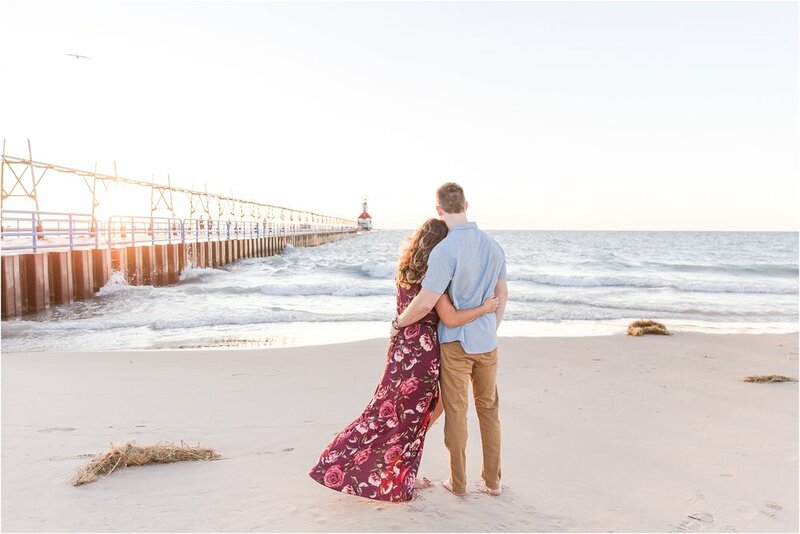 It's a win-win for you as a bride to get such a special experience, emotional photos, and you'll still get to see your groom for the first time in the way you want to! Wouldn't you want that moment photographed?! I know I would (and will on my own wedding day next year)! In the first scenario of seeing dad in the hotel lobby, which is bound to be full of people and bell hops running around, the moment when he sees you for the first time might be emotionally muted in the midst of a public setting and the rush of getting to the ceremony. If, like in the second scenario, we plan to surprise dad with you completely done up and in a controlled and private environment, you both will feel more relaxed and free to have a natural reaction without feeling rushed! If scenario 2 sounds like you, then you will LOVE the father daughter first look. Your wedding day is going to be full of moments, big and small, from your first kiss as husband and wife to the small smile you share with your bestie as she toasts to your love and happiness. If you give yourself enough time (which means actually planning for it! ), natural interactions will take place, and as your photographer I will be able to capture lots of candid memories! Contrary to what you may think, however, you need to plan in time for candid moments to happen! 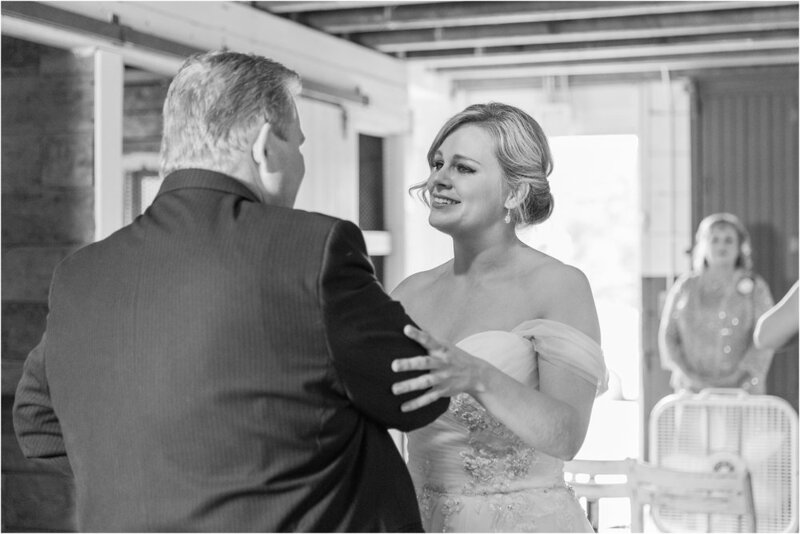 If you don't plan to share a father daughter first look before the ceremony, you can easily get swept up in the schedule of events and by the joy of the whole celebration, and not really have a moment to yourselves. If you share a first look with your dad you can connect in an honest and meaningful way! You are also able to talk to one-another and be more open with your emotions because you aren't standing on display in front of everyone you know as you prepare to walk down the aisle. On your wedding day, you will see your father one way or another, but when you plan a father daughter first look, you are setting the moment up in a way that allows me to be ready for the action and the organic emotions that result from that moment when you see each other for the first time! But Just Remember . . . It's your wedding day!! And it only happens once . . . 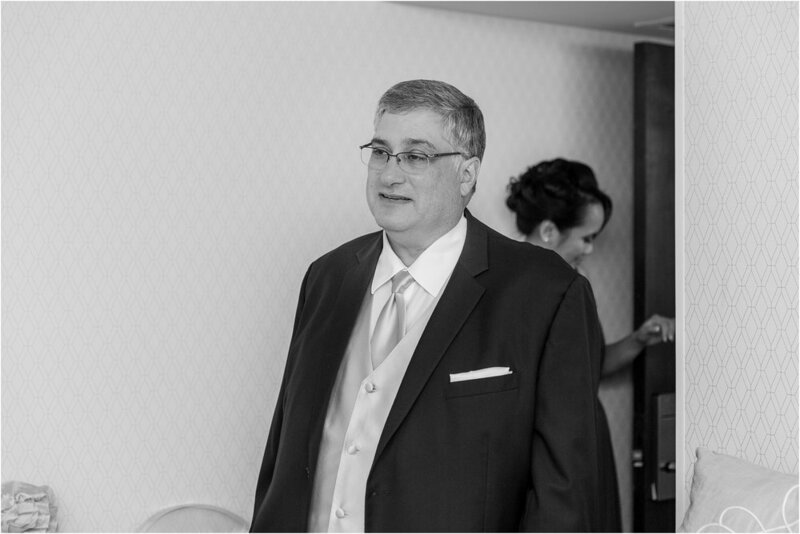 I believe that deciding when you will see your dad on the wedding day is a VERY personal decision, and I always leave it up to my brides to decide which option will work best for them! Whether it's a casual reveal or a more planned surprise for your dad, my only advice is that whatever you decide, make sure your plans are what YOU want on your wedding day! The morning of your wedding day is a very special time for your parents as they watch you, their baby, prepare to walk down the aisle . . . so make sure you take a few moments to take it all in with them and cherish this unique time in your life! So there you have it! I believe in photographing your wedding day the way you envision it unfolding and how you imagine it will feel to see your father for the first time! I want to capture these memories in a genuine and laid-back way so that when you look back on your wedding images in 20+ years you feel the emotion of that moment, and you can recall how beautiful and special you felt sharing one last kiss with your daddy before he walked you down the aisle. Did you enjoy something about this post?! Did something about this educational advice speak to you? I'd love to hear your thoughts and read your comments below! I want to thank you all so much for participating in my community and joining in on the online conversation. If you would like to share what you've read, please use the share button below!